This charming 1,496 sq. ft. country cottage features spacious open rooms and an easy flow from the welcoming stone front porch to the breezy screened porch off the family room and master suite. Perfect for entertaining, the well-appointed kitchen serves a breakfast room as well as a spacious dining room. The family room features a cozy corner fireplace. Isolated from the secondary bedrooms, the master suite is an owner’s retreat with a sitting area, large walk-in closet and private bath with separate tub and shower. The secondary bedrooms share a hall bath. A laundry room is conveniently located off the breakfast room. 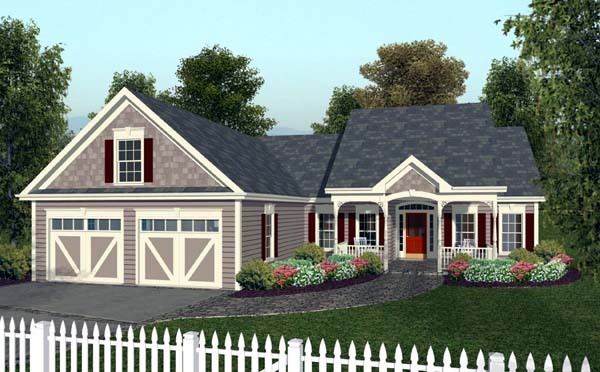 Garage access to a bonus room and a handy workshop complete this delightful design. Question: Does the slab option include the plumbing plans? Question: What is the additional charge to get both slab and crawl space plans. Question: Plan number 92377. 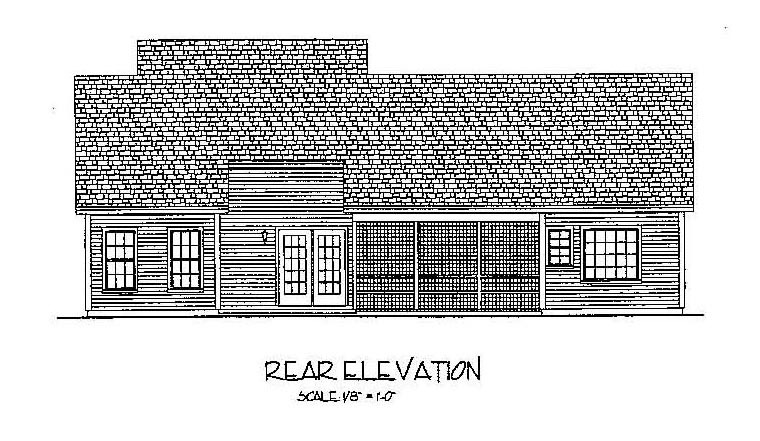 Does this plan come with both slab and crawl space when purchased? Is this truss or stick roof. Answer: Design comes with either the slab or crawl. Basement is also available for $250.00. Roof is framed utilizing rafters. Answer: Correct, there are columns at each corner with a dropped header going from one column to the next. Question: Re: Porches: does screened porch have a step down on the lawn area? Can front porch be constructed to have more than the one step up? Do the plans provide trim directions for the ornate front window moldings? Does kitchen have cabinets over the bar opening into family room? and.. Could a ceiling beam or two be added in the family room? Thanks so much! Answer: Steps can be added anywhere on the porch down to the grade. 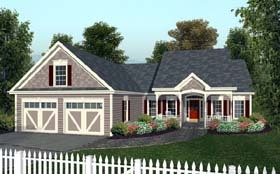 Yes, the home and front porch can be constructed to have more steps up to the porch. No specific detail is provided for the window/door head molding on the exterior. However, it is pretty common molding for above windows and doors. There are no cabinets above the peninsula in the kitchen. But they can easily be added with your cabinet contractor if it is desired. Yes, decorative beam molding can be added to the ceiling of the family room. Click Here to download a free PDF Brouchure of Plan Number 92377.